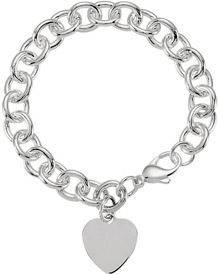 Engrave your choice of letters on this quality .925 sterling silver toggle heart charm bracelet. 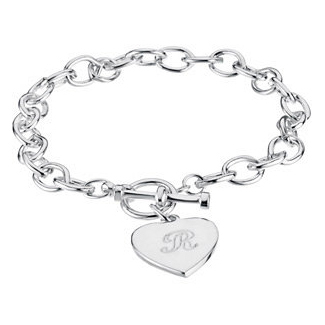 Engraving is optional, with up to 8 characters per side. Choose from: Bookman Old Style, Circle Monogram, Colonna MT, Edwardian Script, Lucida Handwriting, Old English, Roman Monogram, or Script MJ Bold, shown below. Font shown is Edwardian Script. 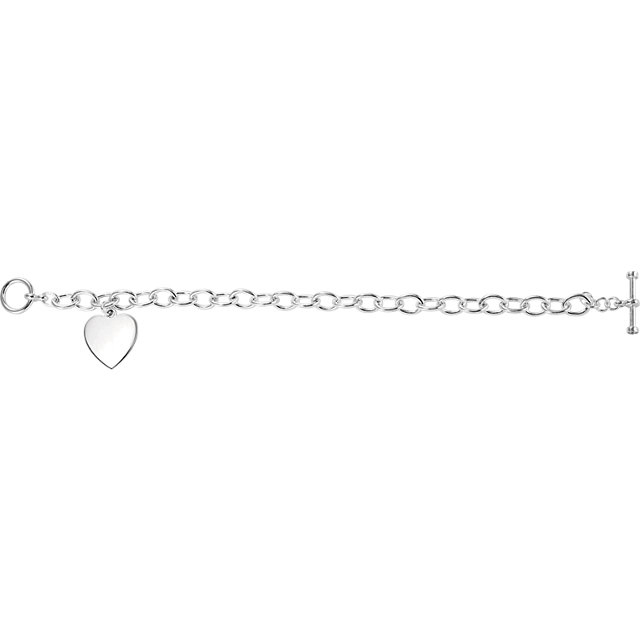 We guarantee our Engraveable Toggle Heart Charm Bracelet in Sterling Silver to be high quality, authentic jewelry, as described above.